With the book about to hit the shelves, I caught up with Eddie Piller and Steve Rowland to talk Modzines, the revival years and future projects. I know they have been touched on in other mod books, but what gave you the idea of devoting an entire book to mod fanzines? Eddie: I’m not sure that fanzines been particularly looked at actually, they have been mentioned but that is a different thing. 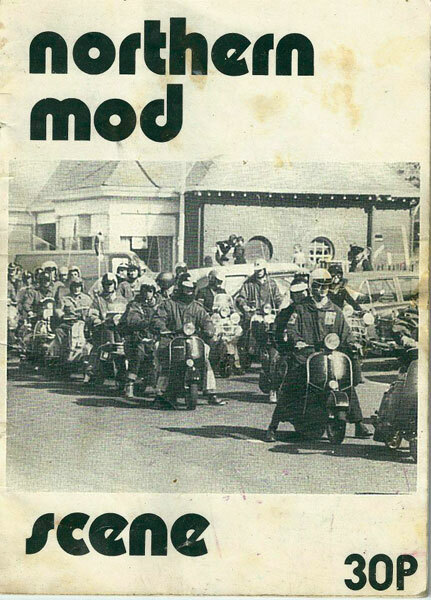 The book was originally Steve’s idea and once I started thinking about the concept I came to realise that the mod revival as a period in socio-cultural history is extremely important because uniquely, it was never documented or analysed by authors or even contemporary journalists at the time (they virtually ignored the mod revival from 1980 onwards), it was documented by the people involved, at the time, in their own words. 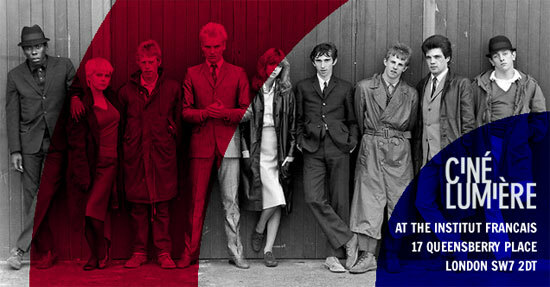 Steve: The original idea came about through a couple of factors, firstly The Mod revival hit at just the right time for a 12-year-old me…we already had the Jam through older kids on our street and hanging out I got to look and listen to records, especially All Mod Cons with its iconic inner sleeve and of course when Quadrophenia came out the whole thing blew up across the country. 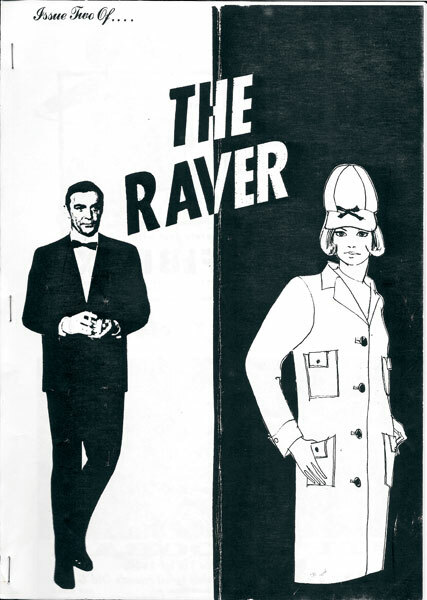 This pretty much kickstarted a life long love of design, graphics and iconography in music and subcultures – record sleeves, ads, patches, badges, t-shirts and of course fanzines. 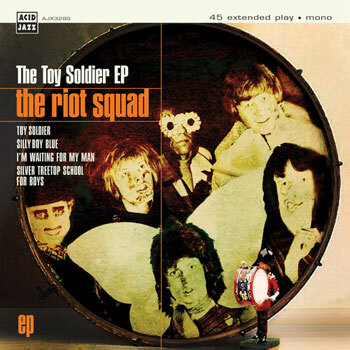 Secondly, a few years ago I was listening to a lot of Modcast episodes (Ed and Dean’s Podcast) which often talked about the revival scene of 79-80’s which brought back fond memories and got me searching the internet and what I found out was more fanzines where produced in the Mod scene than any other subculture, no surprise really as the mainstream media ignored the scene from the 80s onwards. This was an important fact in the history of Fanzines and it was important for us to tell the story of Modzines and document the artwork in a printed book format. Is this personal journey or is it a more objective look at fanzines? Eddie: It’s certainly not a personal journey for me, although it is obviously difficult to get away from my role in fanzine culture because of the success of Extraordinary Sensations which is mentioned a lot in the book, but usually by other people – Terry Rawlings mainly as he was the co-editor for three years, but not just him. I was surprised by how many people referred to it as an inspiration. Proud actually. 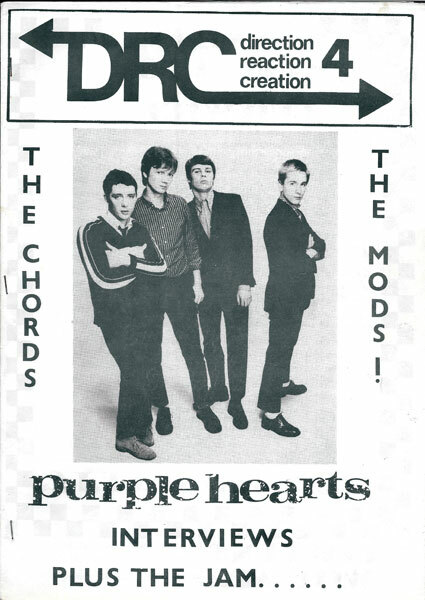 However, ironically, while people like Paul Weller, Steve Diggle, Goffa Gladding, Tony Fletcher, Adrian Thrills and members of The Chords and The Purple Hearts gave interviews, several of my very old friends who had edited fanzines back in the early 80’s declined to be interviewed at all and many others only gave me a couple of lines. I think, if you read the book, you will see that it tries to be an objective investigation into all aspects of mod fanzine culture. Steve: An objective look with a personal passion. What was your starting point? 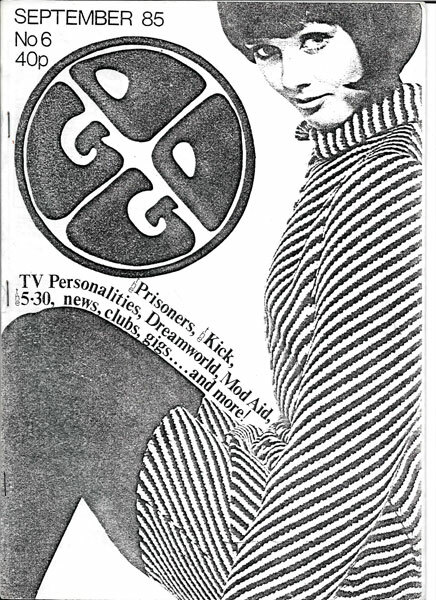 Was there an obvious first mod fanzine or was there an initial wave? Eddie: The starting point had to be Maximum Speed. 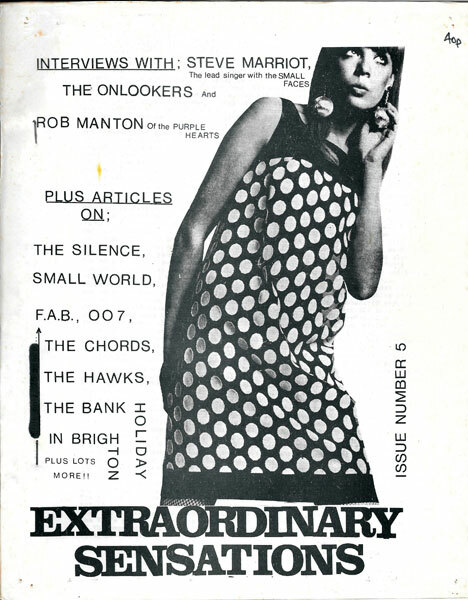 It was the very first mod fanzine and had an enormous impact on the scene in 1979. (they made the first one in February) Goffa Gladding, one of the three co-editors was extremely helpful to me when I set up ES and we reprint issue one in its entirety in the deluxe edition of our book. Maximum Speed were soon joined by a handful of others a few months later – Get Up and Go (which was edited by Vaughn Tolouse and Tony Lordan from Department S), Shake and Direction Reaction Creation. They were the main ones in the first wave. 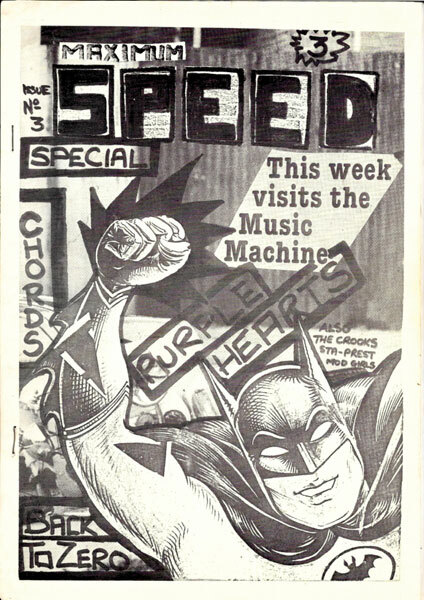 Steve: Obviously Punk fanzines came before and we pick up the story with Adrian Thrills ’48 Thrills’ and Tony Fletcher’s ‘Jamming’ influence and impact on the first wave of Modzines editors leading to the first Modzine proper ‘Maximmum Speed’ coming out in Feb 79, 40 years ago this month! Fanzines were everywhere once. Obviously, you can’t cover all of them, but how easy was it to select the most significant? Eddie: This was actually quite difficult because I sold my very extensive modzine collection 6 or so years ago and to a degree we had to rely on people responding to appeals. Neil Allen has an enormous archive and he was very helpful, as was Dizzy Holmes from Detour. Many of the bigger ones selected themselves – In The Crowd, Patriotic, Roadrunner, Shadows and Reflections. There were some I literally forgot about that I felt should have been featured but these were probably some of the smaller ones that only ran for a couple of issues. As I said, I would have preferred to have spoken to more people but quite a few of the early editors had literally disappeared. Steve: For me, easy in that there is a story to tell and a timeline to follow with the first fanzines coming out followed by the bigger ones in the 80s onwards but difficult in that we had to dig deep to find the lesser known, one-off and long forgotten ones by people not always on the radar. On the whole everyone was very supportive and encouraging offering their collections for scanning, contacts for other collectors, main faces and editors of Modzines from around the world – Neil Allen, Dizzy Holmes, Derek ‘Delboy’ Shepherd, Roger Dixon and Chris Canigiula, especially in the early days. Once the word had got out via the internet we had people from around the world getting touch. 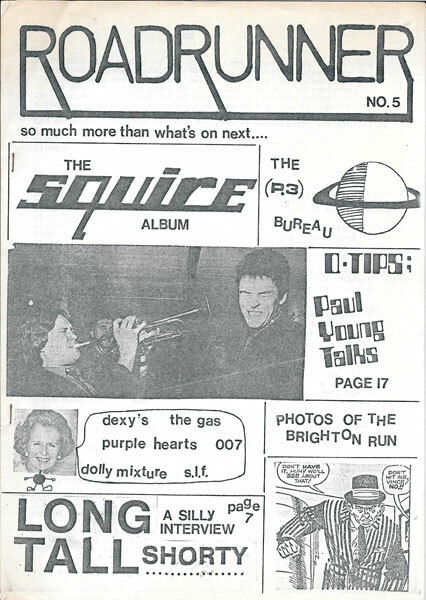 Do some of the older fanzines still stand the test of time? Would any work as reprints or are they very much of their era? Eddie: The thing that comes across a lot is some of the personal humour and much of that wouldn’t necessarily work today as people probably wouldn’t know who the jokes are about. There are some extremely professional fanzines though and some top quality writing. Many serious journalists cut their teeth on mod fanzines. I would rate Shake and Shout from Australia and Whaaaam! from the West Coast of the States as being very good indeed. As to reprints, I have often been asked to reprint the Extraordinary Sensations but as I no longer have Issue One, I have always refused. I think they are probably all best left in the archives! We have to remember that fanzines were entirely disposable on purpose. Inform, educate, mock and then chuck away in time for the next one. Steve: The passion and DIY ethic still stands the test of time, kids will always write about music and subculture, just the formats change. But although an important part of subculture history that needed documenting, I think the fanzines themselves are of their time. Are there are any features you discovered or rediscovered that really jumped out at you? Eddie: I didn’t tend to analyse the actually writing because we looked at hundreds of fanzines, and I just wouldn’t have had time, it was more an overview and the motivations of the editors that we were looking at, as well as the imagery and the production values. There is some quite stunning art in the book and it has been put together really well by Steve. It gives you some insight into the early revival scene in 79 and 80 too. Steve: There is some great cover artwork featured in the book from cut and paste, Letraset to early typesetting. I really like the early ones, Maximum Speed, Extraordinary Sensations, Get Up and Go and Direction Reaction Creation, with the top ten charts, reviews and humour. 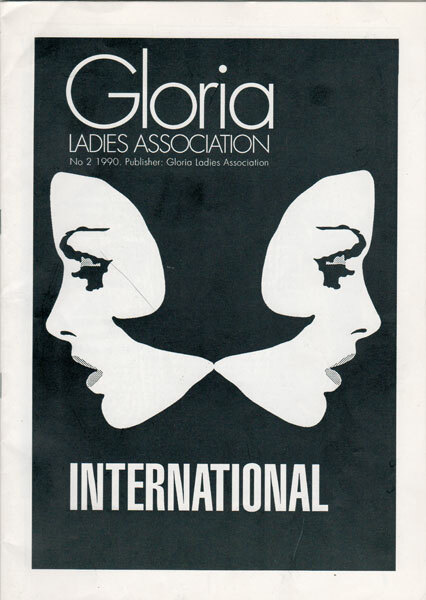 From a Design perspective Right Track had great covers as did Go Go, Smarter Than U, Gloria – Ladies Association, Shadows and Reflection and the prolific output of In The Crowd. 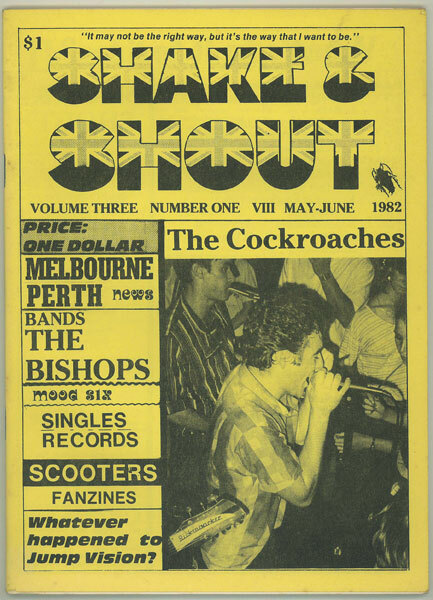 A lot of the fanzines that came out of Australia , America and mainland Europe looked great. Pretty much like all of them for one reason or another! In terms of the content, does the book just look at the fanzines or are you looking at the people behind the fanzines? 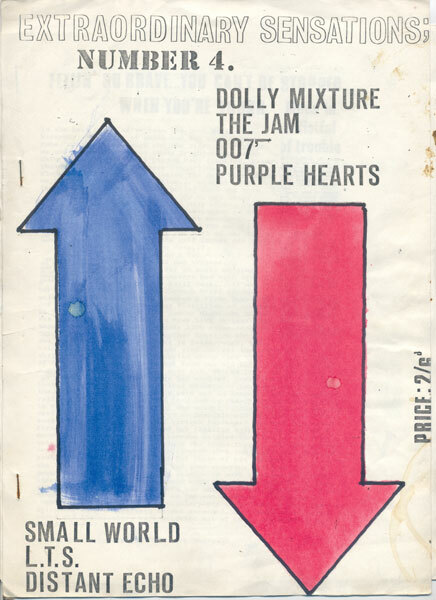 Eddie: All aspects of the mod fanzine and its little brother, the newsletter as I said in the previous answer – the people involved give the best indications as to why, how, what and where. The extreme dedication of someone like Derek Shepherd of In The Crowd was just extraordinary and all from a tiny island in the middle of the English Channel with only 50 mods on it! But the sheer scope is amazing too. 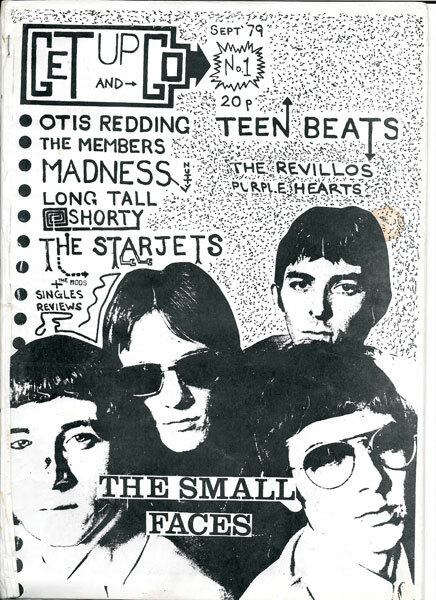 For example, there’s a small town in Derbyshire that had 4 or 5 modzines! And that is repeated all over the world. It’s extraordinary when you think about it. This really meant something to people at the time. It was our world, almost a private or secret thing that wasn’t for outsiders. ES used to sell a few thousand copies in Belfast alone. Steve: Ed pretty much sums that one up..! Were fanzines a stepping stone to anything else for the people who wrote them? Eddie: Many of the editors became professional journalists or publishers. Adrian Thrills has had a very successful journalistic career and Tony Fletcher has been an extraordinarily successful author. But there are others too. Chris Hunt from Shadows and reflections became editor of Shoot! and Hip Hop Connection as well as many other mainstream publications. Jake Lingwood who edited Smarter Than U! became one of the most successful publishers in the country (and he says in the book that making a fanzine taught him everything he ever needed to know about publishing books). There are others too, not least Terry Rawlings, who has written dozens of successful books. And that’s just people who took to writing, you also have all the people who went into the music industry or gig promotion or band management! Steve: Definitely, I’ve spoken to former Modzine editors who have gone on to become authors, journalists, designers, promoters, record label bosses, broadcasters and presenters – I think that passion and ‘anythings possible’ DIY attitude sets you up to go for it in life, always asking ‘why not?’ and never accept your lot. I believe Paul Weller is featured in the book. Was he a fanzine reader? Eddie: Indeed he was. He was also very encouraging to young fanzine editors and again and again people talk about the help he gave them. Even helping to staple and put actual fanzines together physically in between takes of In The Crowd. He was always very generous with his time to fanzine editors too and I originally got to know him in 1980 after interviewing him at Solid Bond. Later on he gave Terry and myself an office in his studio building for us to use for ES for 6 months where we put together our last two issues. He is also featured in most of the mod fanzines ever made! 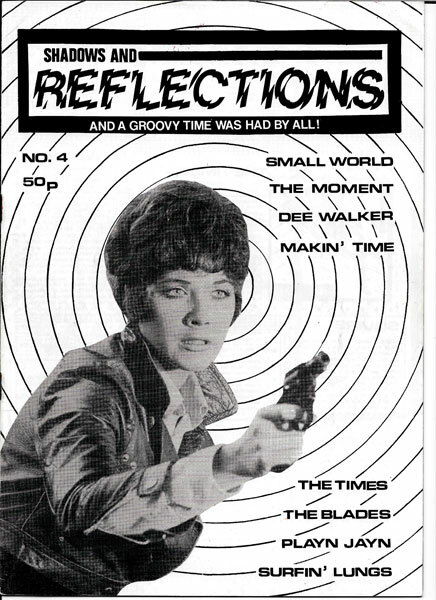 Was there a moment when fanzines peaked? Was there an obvious point of decline? Eddie: I think the peak year was 1984. By this time, printing and production had become substantially easier, the second revival was at its height and the audience was still growing. 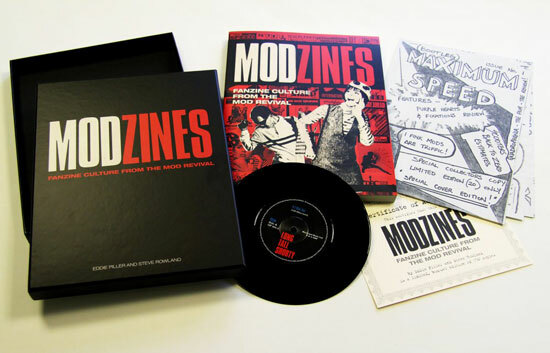 Modzines were starting up all over the place and the beauty of them was that they were ultimately disposable. You could print ten or ten thousand. You could make a one-off or twenty issues. It didn’t matter as there was always a market for them. There was a gradual tailing off over the next couple of years and the end was with the Acid House explosion in 87/8. That blew the mod scene out of the water and that’s when we came up with Acid Jazz to try and redefine mod for the post acid generation. Steve: Again Ed sums that one up! Related to that, is the fanzine scene still alive in 2019? I see a couple pass my way, but not as many as say 20 years ago. Has the internet and social media killed off the fanzine as we knew it? Eddie: There are four or five decent magazines around now but they aren’t fanzines in the traditional sense. They are actually home produced magazines. I think that the introduction of the internet wiped out the need for a fanzine to inform and educate. All that you had left after that is the interviews and articles and I don’t think that they are enough to sustain a regular output. Saying that magazines like Sussed, Modernist and Heavy Soul are great and people will always want to hold something in their hand. I also think that professional magazines like Shindig, Mojo and Record Collector now fulfil a lot of the functions that fanzines used to. Which is a slight shame but to be honest, you can find anything you want on the internet so why not. 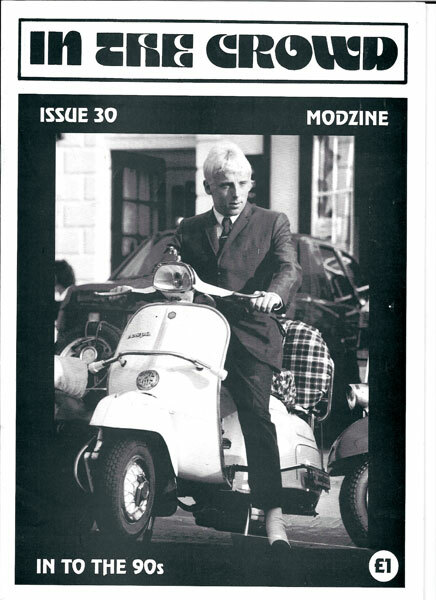 Modculture is superb and fulfils most of the needs that used to be covered by a fanzine. Steve: To a small degree yes, mainly online but one or two magazines are out there but the market is a lot smaller compared to the early/mid 80s. The internet is a double edged sword, on the one hand you can find almost anything at the click of a button and it was invaluable in research and contacts for the Modzines book but at the same time reduces the need to print fanzines, magazines and books, produce records and even have shops to sell them in. That said I think its coming full circle in a way, like the recent growth in vinyl sales, people want more than just looking at a screen, something to go out, pick up off a shelf and hold in their hands. Is there room for a good quality fanzine or mod-based magazine in the modern era? Do you think people would pay when so much content is online for free today? Steve: For the collectors and purists, yes I would say so, but not in the numbers we used to see in the 80s. With limited or non-existent budgets it goes back to a labour of love thing and a one-man band operation. The trouble I often find online is accuracy and quality – again the double-edged sword that is the internet. Is the book a one-off or is there enough there for a follow-up? Eddie: Funnily enough, me and Steve have been talking about a book on punk fanzines but I’m not sure there were enough of them, it would be interesting to find out. 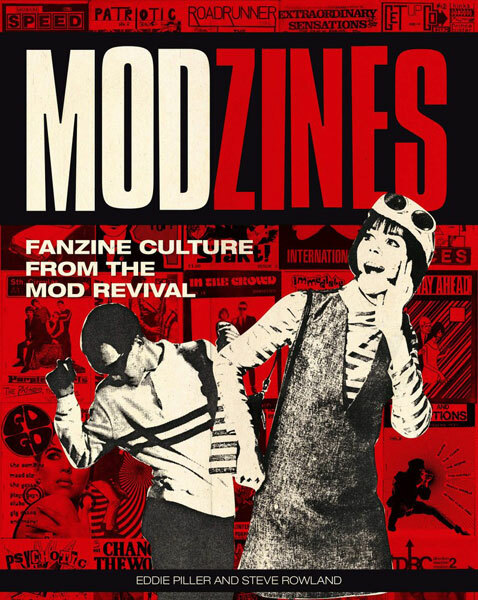 This is certainly the only one (hopefully the definitive) book on Modzines that we will be doing. Steve: I’m in the early stages of looking at the possibility of a follow-up to Modzines and also working on the next in the fanzines book series. Finally, any other books you are working on or planning? Eddie: Well, I am doing a lot of writing. I have recently finished a documentary on Quadrophenia for Sky Arts to mark the film’s 40th anniversary. Phil Daniels is presenting and Sting, Lesley Ash, Toyah and Bill Curbishley are all talking about the film for the first time on film. I have seen it and it is fabulous. On air in April. I am also working on a box set of the Mod revival for BBC Productions which is interesting for me as it is a world I haven’t visited for a long time, I’ve just finished the sleeve notes which I am really pleased with and now have to choose the tracks – out in October. Book-wise though, I am working on two specific projects. The first is a History of the Second Mod Revival (as yet untitled) with the photographer Caron Malcolm who has a thousand photos from the period that have never been seen by anyone. It runs from the day Paul Weller split the Jam in December of 1982 until the Acid House explosion in ‘87. Makes great reading, even if I say so myself. Finally, Me and Martin Freeman have Soul On The Corner out in April too, if it does as well as the jazz one it is going to be a smash! Steve: Book-wise I’m working on the series of Fanzine books covering various subcultures from 70s onwards – in the same format as Modzines, what comes next depends on the research but all makes for exciting times. 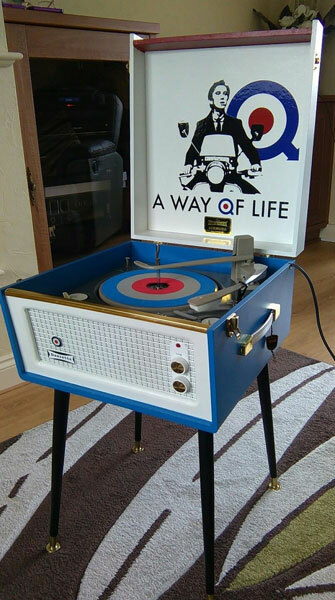 Also a few online projects with Mod subculture. Thanks to Eddie and Steve for being so generous with their time. If you want the book, here are the details you need. First up, there is an official book launch tomorrow (31st January 2019) at Modfather Clothing. Get the book early and get it signed. More details on that here. Secondly, you can see a picture of the limited edition set here, limited to 750 copies and including all you see above, such as the book, a reproduction of issue one of Maximum Speed, a 7” single ‘If I Was You’/’That’s What I Want’ by Long Tall Shorty (originally issued as a free flexidisc with the Direction Reaction Creation fanzine) and a certificate of authenticity. That’s available from Acid Jazz or The Flood Gallery for £51.99. Finally, the standard version of the book comes in much cheaper, selling for just £11.89 and available to order here. Expect a review off me in the coming days.